Wine Walk About - Third Thursday of Every Month! 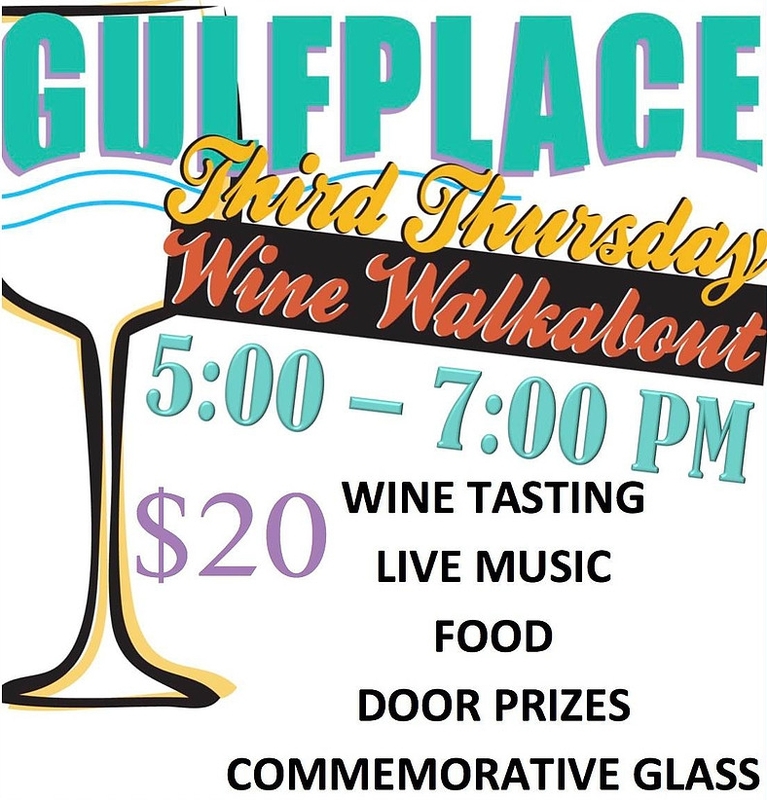 For just $20 join the merchants of Gulf Place on the walkabout & try a variety of wines at many of the Gulf Place shops & restaurants. Always a great time - enjoy live music, shopping, mingling and munching on hors d'oeuvres. During this time, “The Battle of the Brushes” will be at Artists at Gulf Place, where the artists paint in a competition, and the paintings are for sale at the end. Live music will be in The Artists at Gulf Place location.